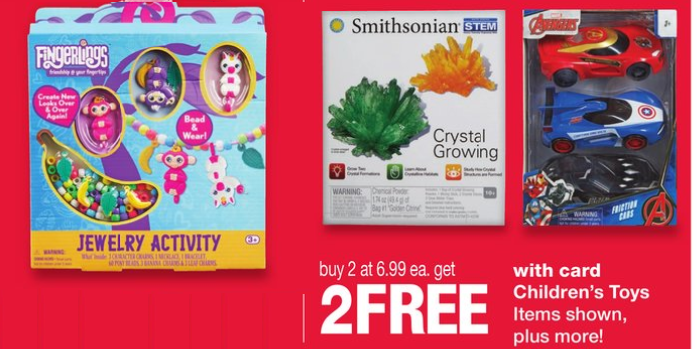 Now through November 24 Walgreens is having a Buy Two, Get Two free sale on toys priced at $6.99 each! This is an in-store only deal. This is one of those offers where the more you buy the more you will save. Final cost $22.96 total – $2.87 per toy.